Our 6am start turned into an 8am start, perhaps from our behaviors the night before. Anyways, Keegan and I finally mustered out of camp and got in the truck to go skiing. We had several options that we were considering but ultimately decided on the Wahoo Gullies. 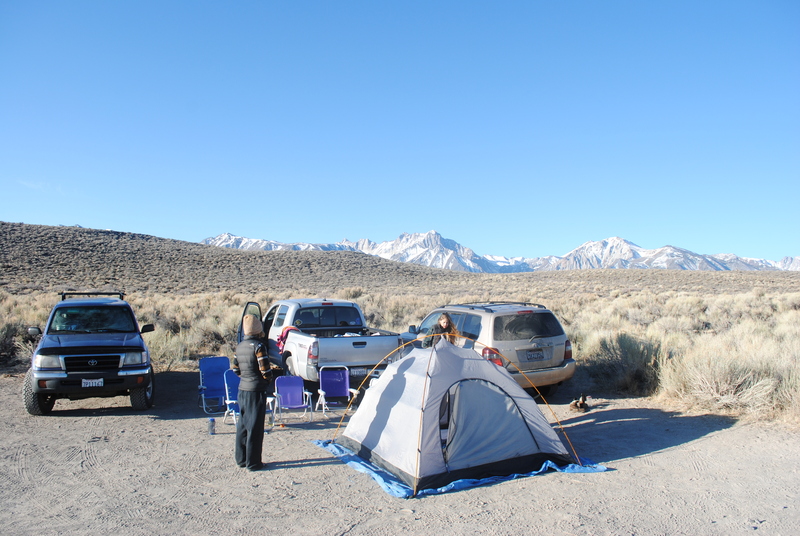 After a short drive south on 395 towards Bishop, we were on the dirt road to the trailhead. 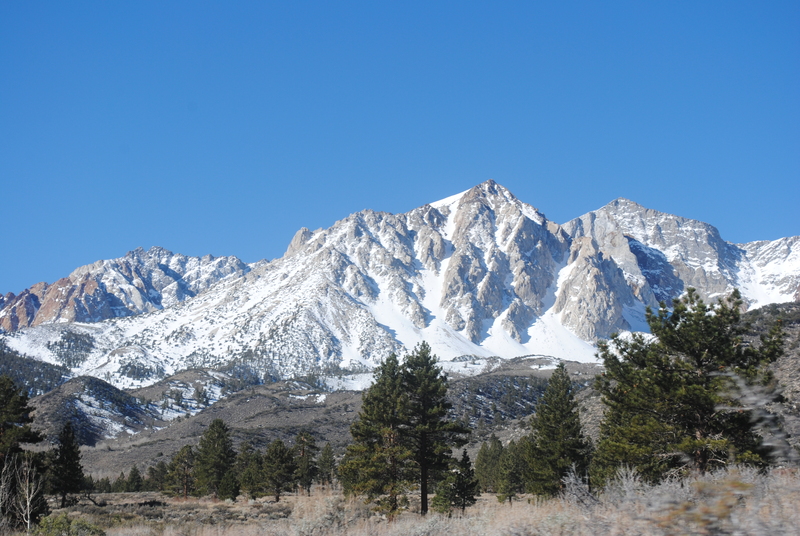 This road would have normally been closed in March, but because of the lack of snow this season in the Sierra, we were able to access it, taking several miles off our approach. The adventure escalated sooner than we thought. Half way up the road we encountered a tree that had fallen over directly across the road. Knowing that we could drive another mile on the other side of the tree, we were determined to move it. Keegan took out his snow saw and cut a few branches that allowed us to roll it, giving us enough space to get around. We got to the end of the road and started putting our boots on when some other skiers pulled up next to us. They asked us if we had moved the tree. Apparently it had been there all winter, and nobody ever bothered to move it… To us, the 15 minutes it took to move the tree was easily worth saving a mile on the approach. 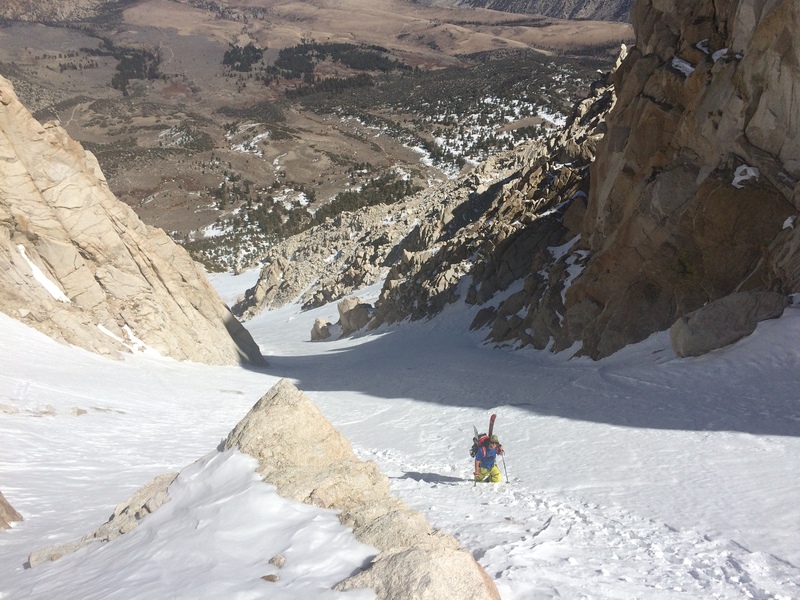 For whatever reason (seriously, I don’t know), we thought we could just leave our skins in the car and just boot pack all the way to the couloir. It was around 11am, hot as hell, and we were post-holing to our knees for well over an hour. 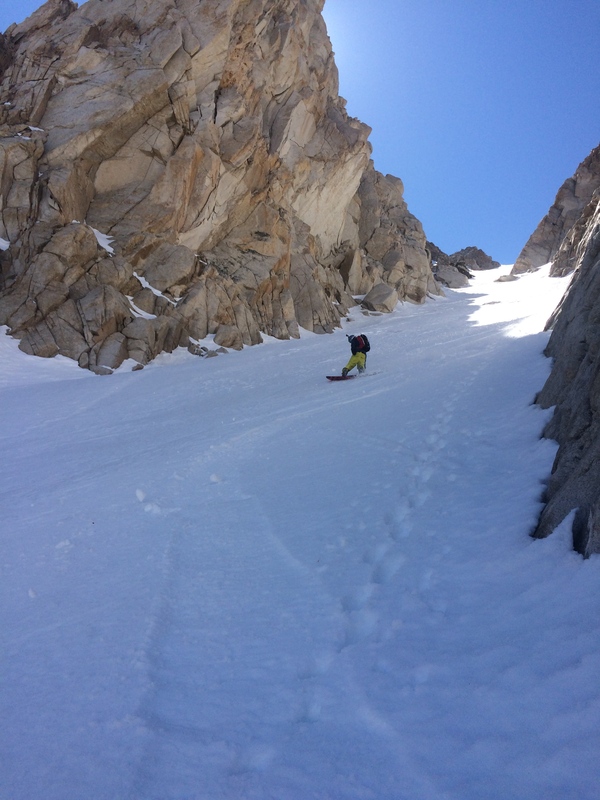 We finally made it to the bottom of the couloir and began the boot up. 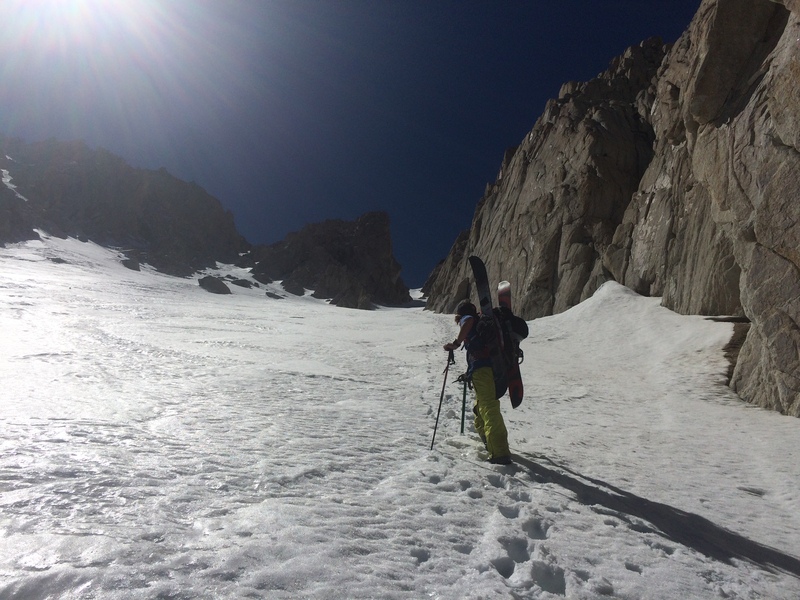 We hiked up the couloir for about 45 minutes when we decided that it was getting too warm to safely keep going. We were about 2/3s up the chute when we decided to drop! 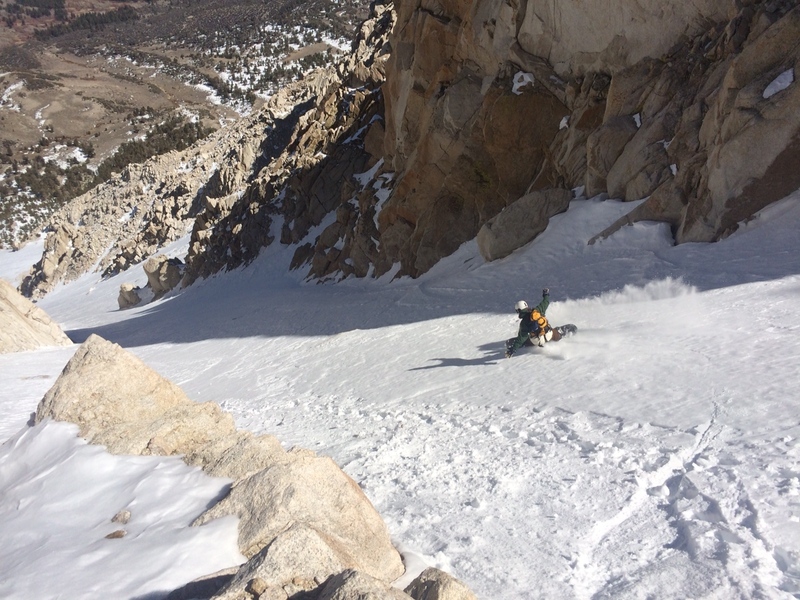 We skied some nice creamed corn with a little crust. 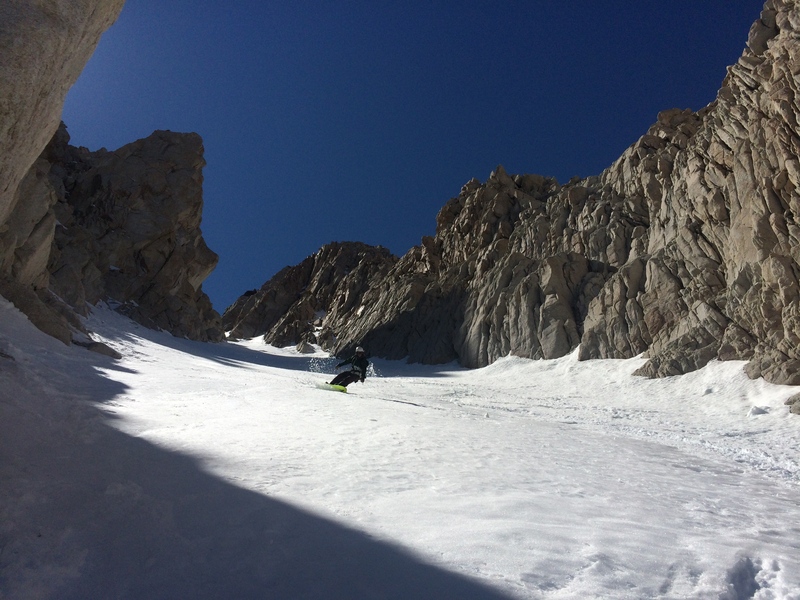 First ride on the new splitboard, nice! We made it back to the car, back to camp, and eventually back to Tahoe later that day.